Mary Katrantzou was born in Athens in 1983, to an interior designer mother and a father who trained in Textile Design. She moved to America for a BA in Architecture at the Rhode Island School of Design in 2003, before transferring to Central Saint Martins to complete her course, transferring to Textile Design. 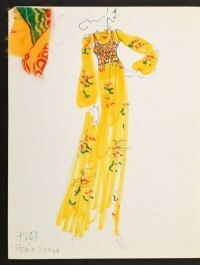 During this time, Katrantzou succeeded in selling some of her print designs to Bill Blass. 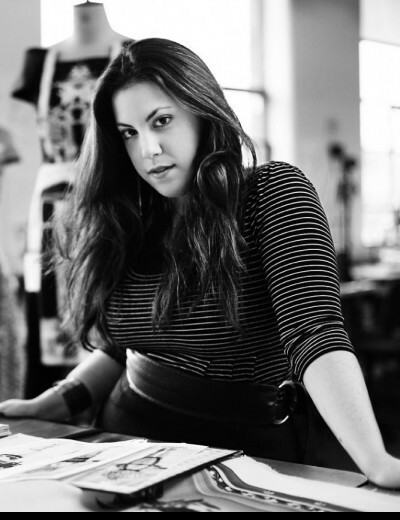 Graduating from her BA course in 2005, Katrantzou shifted her focus from prints for interiors to prints for fashion. Working with Sophia Kokosalaki for two seasons in 2006, she also developed her portfolio for the Central Saint Martins MA Fashion Textiles course. Accepted onto the course in 2007, Katrantzou opened the Central Saint Martins graduating show in 2008 and the collection mapped out her signature style. It was themed around Trompe l’oeil and digital prints of oversized jewellery (inspired by Russian Constructivism and early 70s movie posters) featured on dresses. These pieces created the illusion of wearing giant neckpieces that would be too heavy in reality. The models also wore real jewellery pieces made out of wood and metal, which were exact replicas of Katrantzou’s prints. 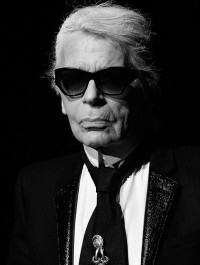 The collection was nominated for both the Harrods and the L’Oreal Professional award. Katrantzou’s first ready-to-wear collection was produced for autumn/winter 2008, and debuted at London Fashion Week through a New Gen sponsored stand. Despite a small collection of only nine dresses, Katrantzou picked up 15 prestigious stockists including Browns, Joyce and Penelope in Italy. The designer achieved show status with New Gen the following season, spring/summer 2009. This format has continued for three seasons and it is one which has seen further success. Katrantzou has developed her interest in Trompe l’oeil, basing collections on perfume bottles, blown glass and eighteenth century society paintings, while keeping the printed image central to her aesthetic. She now boasts over 60 stockists ranging from Corso Como to Barney’s. Her work has featured in publications including Vogue, Dazed & Confused, Wallpaper* and Grazia A collection for Topshop launches for London Fashion Week autumn/winter 2010.